In 1977, ten years after Canada’s centennial, the city of Hamilton was filled with a spirit of promise and adventure. Mohawk College, newly formed and in sync with the mood of the times, opened a new program in applied music, and helped establish the college as a pioneer in post secondary arts education in Hamilton, Ontario and all of Canada. Since then, the Mohawk College Applied Music program has produced hundreds of graduates who are now working in all facets of the music business, reaching to every corner of the continent. From the very beginning, the College promoted an ideal of a balanced musician – one who was not only the master of their musical skills, but an entrepreneurial businessperson as well. This visionary idea of a musician being a good businessperson has given Mohawk’s music program strength, significance and longevity. Where did the idea for Mohawk’s music program come from? 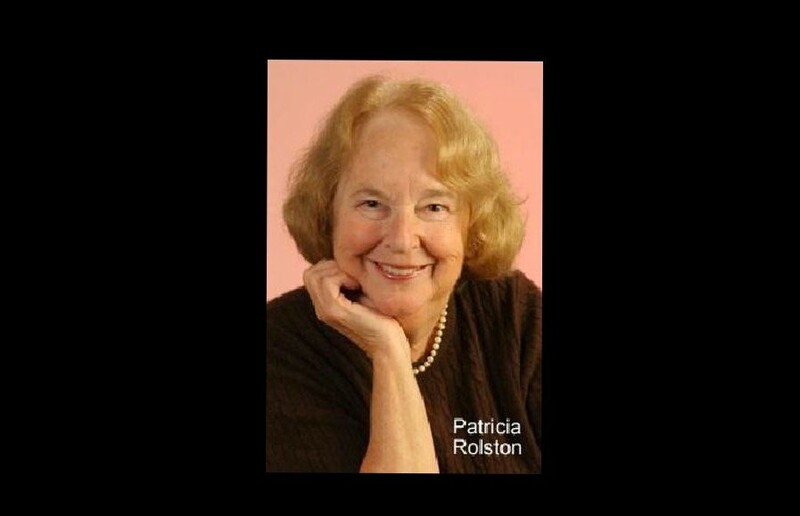 The answer is found in Patricia Rolston, 82, the founding director of Mohawk College’s Applied Music program. She comes from a family which could be described as an unstoppable music force (see sidebar). Rolston currently works as the principal of the Richmond School of Music in Greater Vancouver, BC. She spoke with us from her home near there. Where did all this music come from in your family? My parents were music lovers. My mother loved to sing. My father played Irish jigs. When company came over to our house, it was just an excuse to make music. We were surrounded by the love of music and the joy it brings. My dad thought it was great to take my brother Thomas and I to the Orange Hall in downtown Vancouver every Saturday for the dances. Thomas joined him playing Irish jigs and I would do the piano vamping. Those jig beginnings never left me or my brother. We moved onto other musical things, but our simple, basic love for making music stayed with us. What brought you to Hamilton? My husband Lee Hepner and I had been living in New York. Lee had been working at City University of New York. With two young children, I wanted to raise my family in a more child-friendly place, so we started sending out some applications. We came up to Hamilton in 1970, where Lee had been working in McMaster University’s music department. At first, I taught English at Westdale Secondary for 2 years, and I took on piano students. When the new college, which was first located in an old building on Dundurn Street, was looking for faculty, I took a position there teaching English. I had my musical skills, and so I also ended up teaching music to the Early Childhood Education students and the Recreation students. I was the sole music person. When the time came to open the new campus on the mountain, I had a very good reason to start the Mohawk College Singers because they were planning a big opening ceremony and celebration. That was our first big performance. I remember it being a big deal, with the governor-general in attendance and the ceremony being broadcast in colour TV! What circumstances brought the Mohawk college music program into existence? I had been agitating for more music all along. One incident comes to mind. We were at the old college campus one day after hours, and we came across a kid at a basement table studying. He had been looking for a quiet place to do some homework. As it turned out, he was doing a jazz harmony correspondence course from Berklee. It got me thinking, why can’t we do that in Hamilton? All across the country, ideas were being thrown around everywhere. Enrollment was increasing. So, I wrote a little note to the president asking that we should consider a music program. I put together my vision for the program, what the courses would be, and the proposed cost. The college president approved of the idea in principle. Next I had to find 10 industry leaders who would vouch for the program, and they had to be from industry areas where graduates from the music program were going to be working. The potential impact of the program would have to be shown as a benefit not just in Hamilton, but all of Ontario. The word “entrepreneur” was hardly known back then, but as a working musician I knew that our students would need those kind of skills to succeed. After the college president approved my proposal, the College of Presidents of community colleges had to approve the new program as well. That meeting, held in Oshawa, was a nerve-wracking experience for me. I felt like a nobody coming before archangels with this grand idea! They put me through the wringer. I was coached for some of the answers, but had to fly on my own, sweating their questions for about half an hour. One member of the committee was sympathetic to my views because her daughter had been an oboe player. Later that day, back in Hamilton, the call came through that the program was approved. That must have been quite the moment. It was a real big thing for the college, because it meant more funding, and more prestige because it was unique. Unlike anything they had offered. So I put my heart and soul into the program. The first cohort of students arrived in September 1977. There were more applications from teachers than students at first! When you hired the first staff, was the balance between classical and jazz critical? The people I asked had to be strong classical players but also strong in jazz. Ronald Romm of the Canadian Brass was one such person whom we solicited. Nick Deutsch, whom I did hire, had a masters degree in musicology, and was playing all the time in jazz. It was very hard to get people like that who could do both. The two styles are like two different accents. Not only was that balance important, but Mohawk College’s music program was the first in Canada to offer a Business of Music course. It seemed very obvious to me that we should do that. I used to tell the kids, music is like a teeter totter. You had to be a good musician, but you also had to be a good businessman. Were there any surprises or happy accidents that happened along the way? Were there any students that stand out to you? I remember going to the hospital to visit a student from the first year who had undergone a serious spinal operation. I often wonder how he’s doing. So many students came through the program, it’s hard to remember individuals. However, in 1989 I had a big fire at my home, and many of my students were very kind with their encouraging remarks and assistance. What are your present responsibilities? I’m the principal at Richmond School of Music. It has 440 students. It is a non-profit school, similar to the Hamilton Conservatory, and copying the Royal Conservatory of Toronto. Our students are from ages 4 to 80. We have private lessons and classes like theory, recorder, choirs, and jazz ensembles. It’s not unlike what I was doing at Mohawk. The program, consisting mostly of Chinese Canadians, is thriving. I’m still teaching full-out, and am very much involved in music. In your most recent visit to Hamilton, what was on the top of your do list? I went to Mohawk right away! It is stunning what they have done. And they’re not finished making positive changes. The whole college is beautiful, the way they’ve added onto it. Music is still very prominent and very much a part of it. I felt just spectacular. I recently heard of a senior’s choir in Burlington where 15 of the members are former members of the Mohawk College Singers. I’m so proud to have been a part of that. When I pick up the Spectator, I can see a very positive spirit of support for the local arts community. I think there is a nice spirit in Hamilton. What advice would you give to music students of today? The work that I did was just the beginnings of a long job that we all have to do. We just have to keep plugging along and making it better. I remember once taking Darcy down to Eastman and was impressed that it was 100 years old! I thought to myself, will Mohawk’s program ever make it to 100? I’m sure it will if the leadership keeps on doing what they’re doing! Never retire. You can’t retire from being a musician. What are you going to do, watch TV?